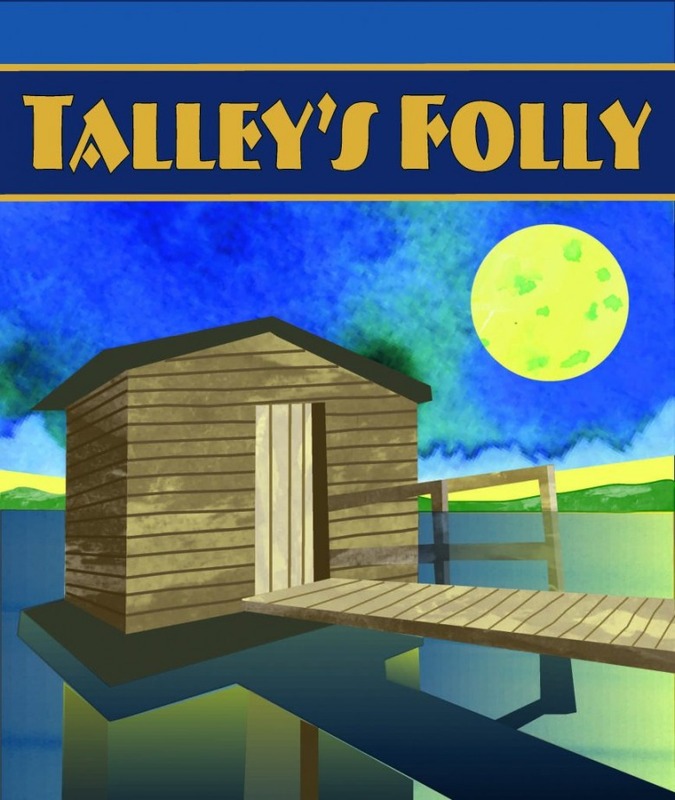 Lanford Wilson’s Pulitzer Prize-winning (1980) play, Talley’s Folly, opened this week at The Jewish Repertory Theatre, proving once again to be timeless and powerful. The set is a strikingly beautiful rendering of the boathouse (intended to be a gazebo, one of the follies found in the title, as well as a metaphor for what life becomes when truth opens a door). I saw the original production of this play and this set is very similar, if a little too perfect for Wilson’s description of its decrepitude in the dialogue. This JRT production is well cast, beautifully blocked, and offers 97 minutes of delicious entertainment. But, like the gazebo, it’s just a little bit off. The lighthearted first half is somehow out of balance with the raw emotion of the final moments. The result is a reading that is certainly honest and viable, but narrowly misses this reviewer’s understanding of the delicacy of Lanford Wilson’s poetry, which is based on a long association with this play, this playwright and The Circle Rep Theater Company that originally gave it life. The issues are all about timing. The first 45 minutes should be funny, not schticky; quiet, not loud; small, not large; and every line should have an undercurrent of the seriousness to follow. It can work both ways and certainly does here. Merely the difference between an A and a B+. This one-act two hander opens with a fourth wall-destroying monologue by Jewish accountant Matthew Friedman addressing the audience with a humorously precise (97 minute) description of what will follow. It’s a meaty part and Chris J. Handley, making his JRT debut, handles it with confidence and skill. Handley is a strong actor with the charismatic, uber observant eyes that befit this complicated character, not quite unattractive in the way of a middle-aged, white collar working man. His sense of delight is just perfect. Ann Roaldi Boucher is a wonderful Sally Talley—attractive, strong and confused, with just enough courage to see that there might be a different hopeful future. Her active engagement with Matthew seems real. You can feel her body saying “no” as her eyes seem to think “maybe.” Unfortunately, there is a bit too much facial mugging at times. While displaying these tics of mouth and eyes she often stands so still that only half the audience can see her face. So less of that and more movement, please. With only two actors and so much dialogue, there is the inevitable desire to do more. Boucher has too much talent to make this choice. The play is often referred to aptly as a dramedy. A love story of two beings out of place in the rural, never-changing town of Lebanon, Missouri. He is a Jew among the Protestants with a dark pass of European anti-Semitism, war and death. Sally is a woman of her time who has lost her value as a commodity. Matthew, on a previous visit, has observed not only her beauty but also this sameness of souls. He has immense confidence in his assessment, and she is so fierce in her denial of that assessment. It is a joy to watch these two splendid actors move through their discovery of each other to the final, heartwarming embrace and surrender. The heavier material is handled with an honest strength. The performance hits an all-encompassing stride, and if you are not rooting for these two by the end, you have no heart. Another sweet win for the Jewish Rep!